I was on my husband’s list this morning. I think he finally figured out my bad fridge hoarding habit. He texted me when he woke up to tell me he had just spilled nearly a whole carton of creamer because the fridge was packed full like a really bad version of tetris. “The only thing holding the creamer up was a huge container of macaroni and cheese.” He texted me. The problem starts because I basically use the weekends as a subverted version of meal-prepping. I make huge meals and then pack the fridge with huge containers holding them, instead of pre-portioning them out for meals. It’s the lazy woman’s version of meal-prepping, and I’ve always done it that way. This time, though, it was really bad. There was no room for anything to breathe in my fridge! I had tupperware containers the size of shoe boxes taking up the bottom shelf, and at least 4 different types of shredded cheeses on the top shelf, which has the most head room for tall items like milk and creamer. With no place, not even the crisper, empty with space, I had to put the homemade mac n’ cheese I made on top of the creamer, milk and cheese. And it all fell down. All of it. Sorry, Rob! When I got home from work this morning I cleaned it out and rearranged everything so that there was more space for this week. Crisis averted. One thing taking up some very minimal real estate was this leftover chicken I had made for some sammies this weekend. The official name of these sandwiches are spiedies, but that’s a really regional cuisine to Northern New York. I’ve never hailed nor visited New York, so I can’t exactly claim to know what spiedies are! I didn’t want to offend any of you Yankees if my version was different than the classic version. That being said, these sandwiches are so good! 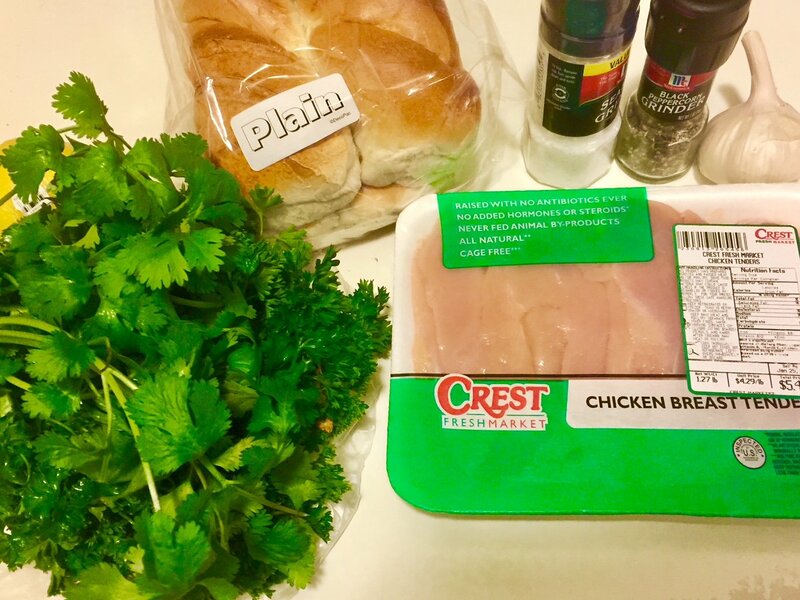 The marinade is really simple but it makes the chicken pieces extremely tender and flavorful. 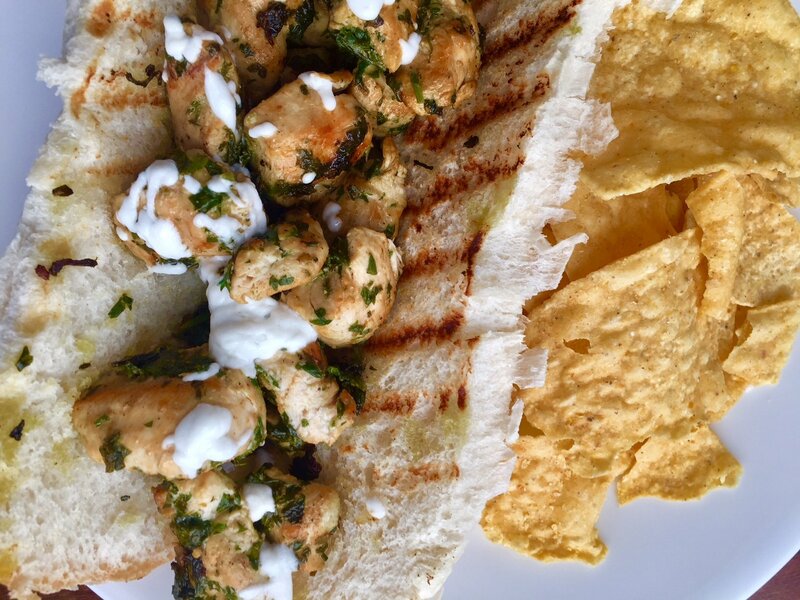 You really don’t need anything else on these sandwiches except the chicken and bread, but I made a quick garlic sauce and it really kicked it up another level! The garlic sauce is so good I plan to use it on pretty much everything this week. I used regular french bread style rolls for this sandwich, but Rob mentioned pretzel rolls might taste good with it, too. A hoagie or bollilo would also be real tasty with these chicken sandwiches. 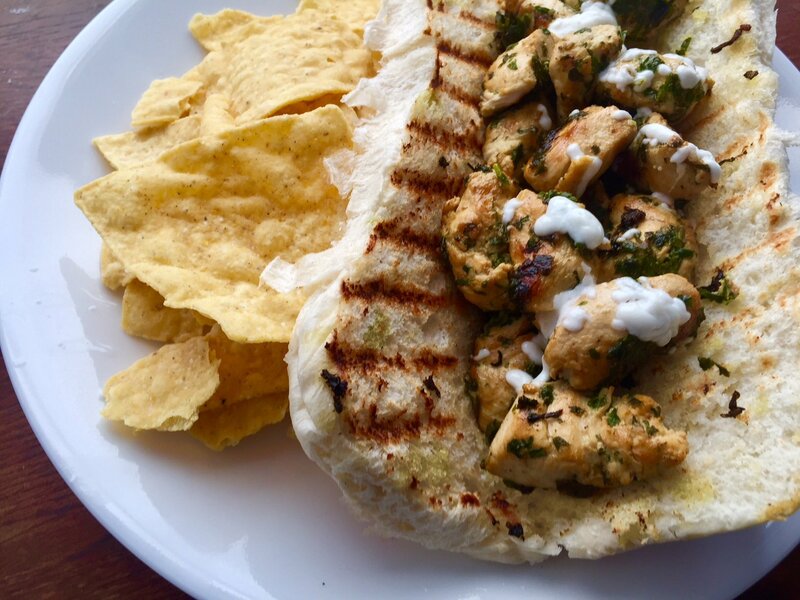 Chicken marinated in lemon juice and herbs, grilled to perfection, then topped on a toasted sub and served with a garlic sauce. 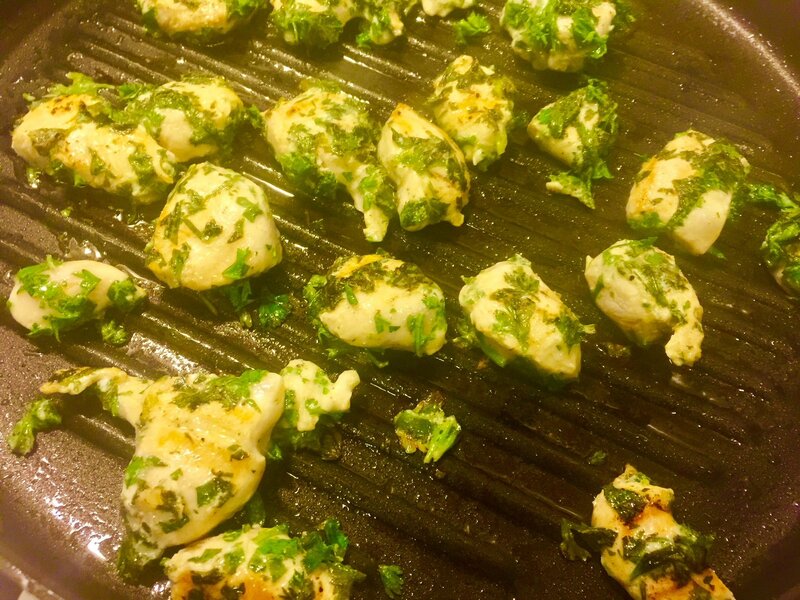 In a large bowl, combine chicken, cilantro, parsley, lemon, olive oil and salt and pepper. Stir well. Cover and refrigerate overnight, or at least 2 hours. Heat oil in a large grill pan over medium heat. 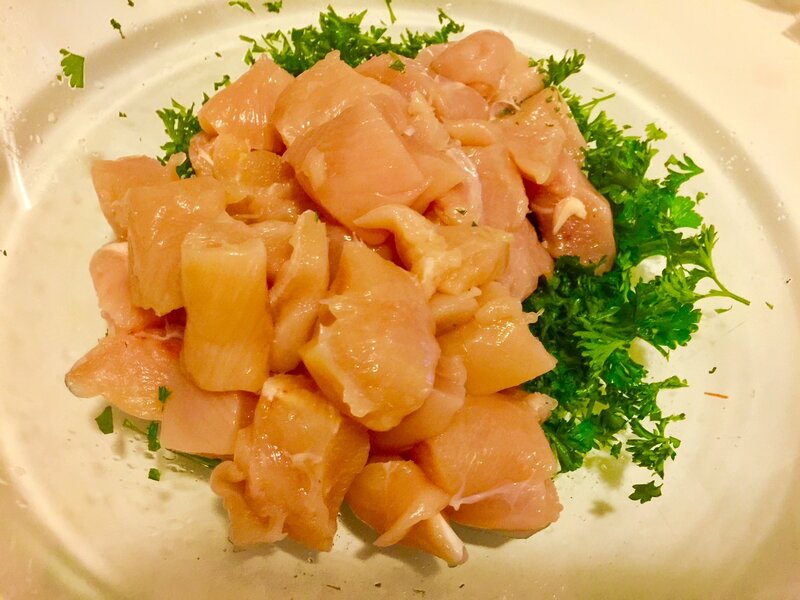 Remove chicken pieces from marinade and grill until browned, about 4 minutes per side. Meanwhile, make the garlic sauce. 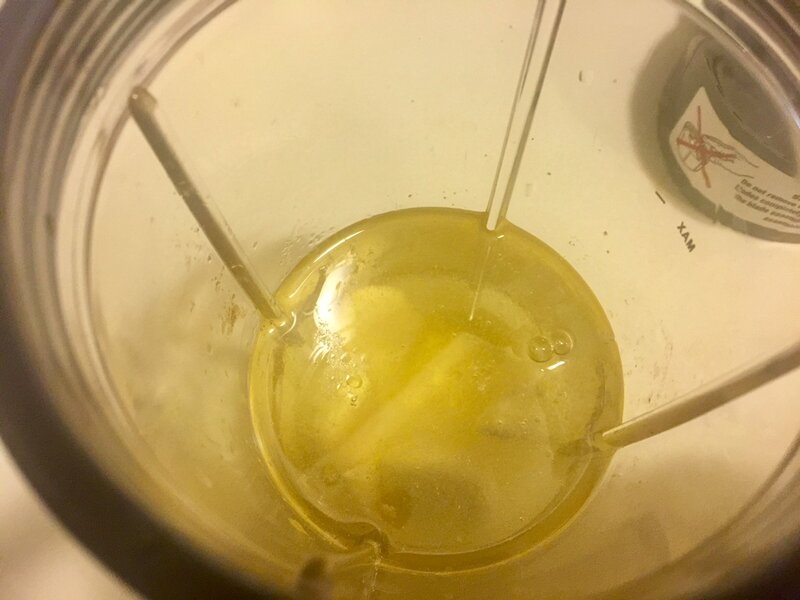 Put garlic, egg white, lemon juice, olive oil, salt and pepper in a large blender. Blend until emulsified and well combined. 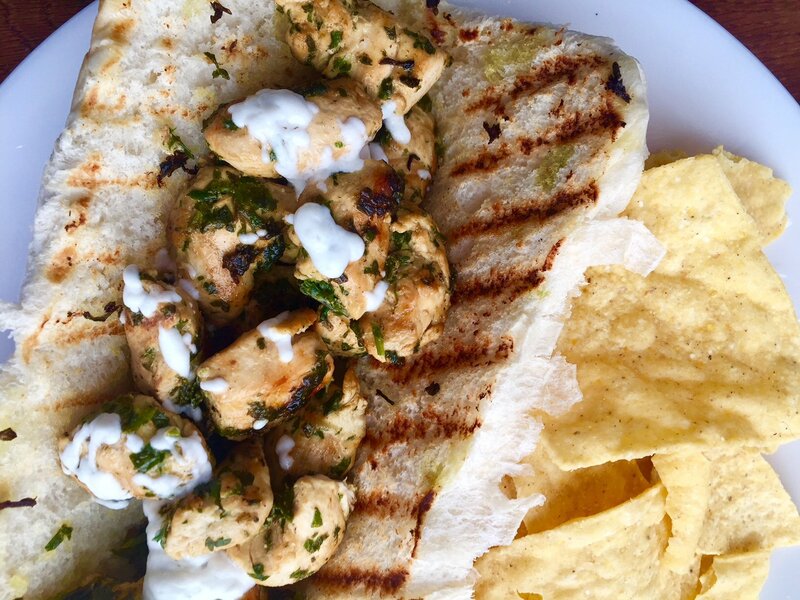 Serve chicken on French bread loaves topped with garlic sauce. 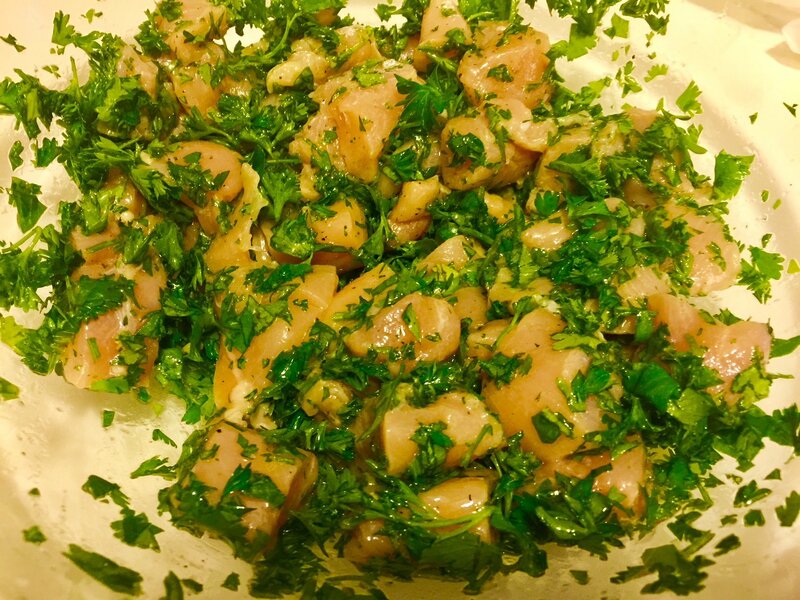 In a large bowl, combine chicken, cilantro, parsley, lemon, olive oil, salt and pepper. Stir well. Cover and refrigerate overnight, or at least 2 hours. Meanwhile, make the garlic sauce. Put garlic, egg white, lemon juice, olive oil, salt and pepper in a large blender. Blend until emulsified and well combined. 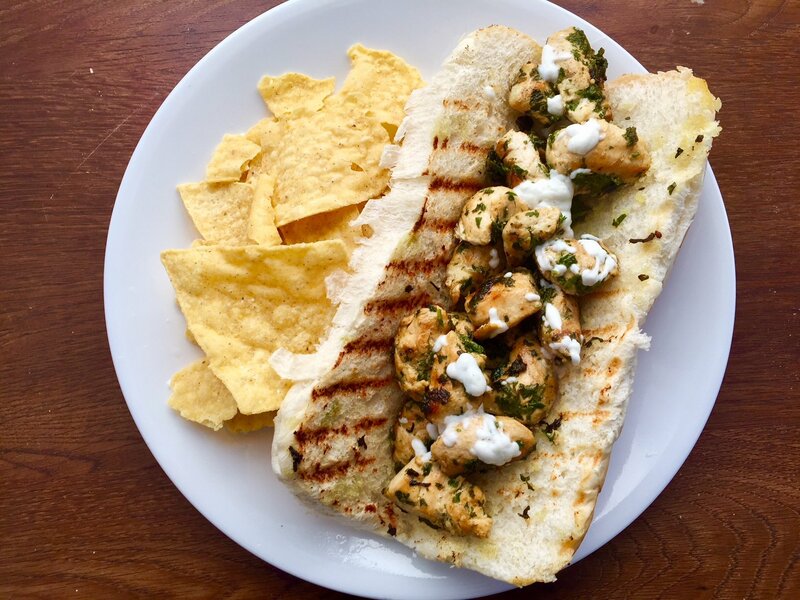 Serve chicken on French bread loaves topped with garlic sauce. You are officially off my list. I’m mostly interested in the garlic sauce, although the sandwich does look delicious. The garlic sauce is SO GOOD. I’ve been drizzling it on everything.